James Harden is a mortal lock to win the Most Valuable Player award and tonight he showed the whole world exactly why. 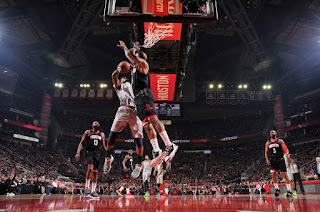 In an all-important game one of the NBA playoffs, the Houston Rockets were kept afloat by Harden's unstoppable offense. On an evening when the shots refused to fall, Harden and Clint Capela refused to let the team sink. With this win over the Minnesota Timberwolves, the Houston Rockets win their first game of this postseason, and set their sights on fifteen more. This was a game the Wolves badly, badly needed to win. Despite the closeness of the game, Minnesota was clearly outmatched and was punching well above their heads just to make it a real game. They fell into a double-digit hole early and were able to extricate themselves as Houston slowly ceded ground over the course of the game. Minnesota enacted a risky strategy that nearly worked out: leave the Rockets open from three point range. The Rockets have been approximately unguardable all season, shredding teams at the arc, in the paint, and in between if they care to. With their litany of shooters, their ability to manufacture open looks is a death knell as long as they can hit a reasonable percentage of those open shots. Tonight, they did no such thing, and the Wolves nearly won because of it. Don't be fooled by Harden's 7-12 from the three point line. The rest of the team managed to drag that number down to 27% on the night by shooting a truly execrable 3-25. This wasn't even simply a matter of Wolves defense; PJ Tucker, Trevor Ariza and Eric Gordon shanked shot after shot with nary a defender in sight. Unfortunately for the Wolves, they didn't pick up the win the Rockets handed them. Karl-Anthony Towns, for his part, was truly abysmal and was utterly dominated by Clint Capela. Capela and Harden were the only two players worth anything tonight, with a pair of eye-popping lines. 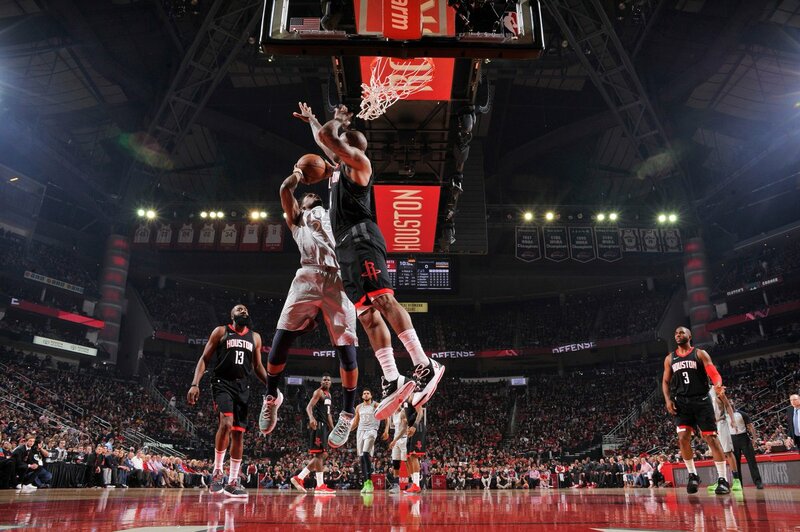 Harden scored 44 on 15-26 shooting as well as 4 rebounds and 8 assists, and Capela chipped in 24 on a mere 15 shots to go with his 12 rebounds and 3 blocks. Those two players were the entire Rockets team, and it was somehow enough to go up 1-0 in the first round. The Rockets have taken the first step toward victory and in the process have reminded the world why James Harden the odds-on favorite to hoist the MVP trophy when all is said and done. It wasn't perfect, but it was a win. And in the playoffs, a win is all you need.